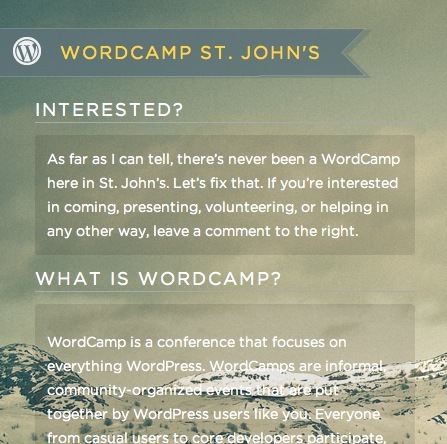 There were dozens and dozens of WordCamps all over the world last year. But as far as I know, there wasn’t one here in St. John’s. I’ve got a site almost finished to see if there’s any interest around town.